Facebook is fascinating application that is part of a suite of transformative social technologies. It's a great way to share thoughts, feelings, moments, memories, and knee-jerk reactions. However, as well-designed as it is for ingesting that content, it's not so good at letting you clear it out. Some might argue that Facebook is actually well-designed to make it hard to clear things out, because it would certainly be easy for them to code mass deletion tools, given the remarkable development skill they have demonstrated. Some folks put a LOT of information into Facebook. And there are a host of reasons they may want to turn back the clock on that decision and clean some things out. For me, I just like to keep the amount of info cluttering up my timeline as lean as possible. Good news, I like solving technical problems. So, follow me down the rabbit hole of cleaning out your Facebook activity and maybe Arnie will be able to tell you, "Relax, you've been erased". You and I are not the first people that have been interested in getting rid of our Facebook activity. A few posts a week or day can really add up and soon you have a quagmire of information. This will be using a script. Scripts can magically do good things as well as bad. You have been warned. Proceed at your own risk. 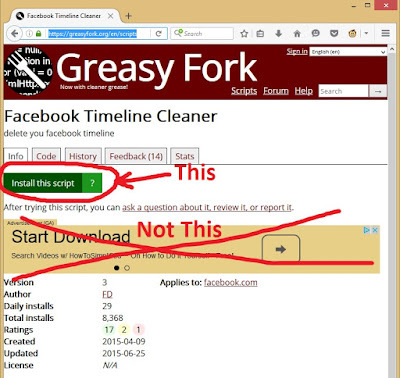 There were two primary tools created by motivated folks - Absterge and Facebook Cleaner. They were scripts executed by an extension/addon in a browser. They were housed on a site called userscripts.org. Oh, don't bother going there. It's dead, Jim. Good news, there is still a way to achieve this. 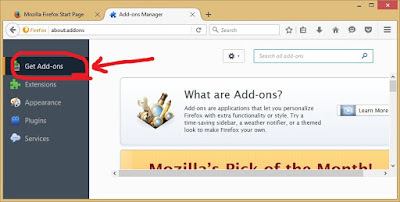 We are going to do this via an add-on that was created for Firefox, a great browser created by Mozilla and one of the top three browsers in use today. Right now, this link will take you to the right place. 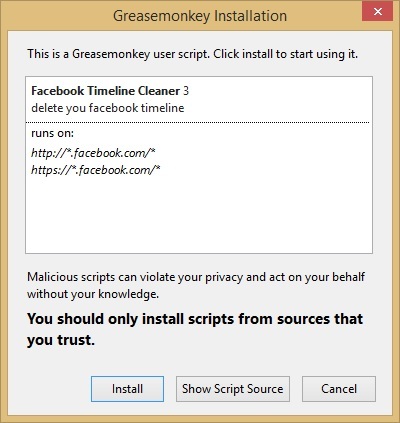 Search for "Greasemonkey" (all one word) and then click on "Install". 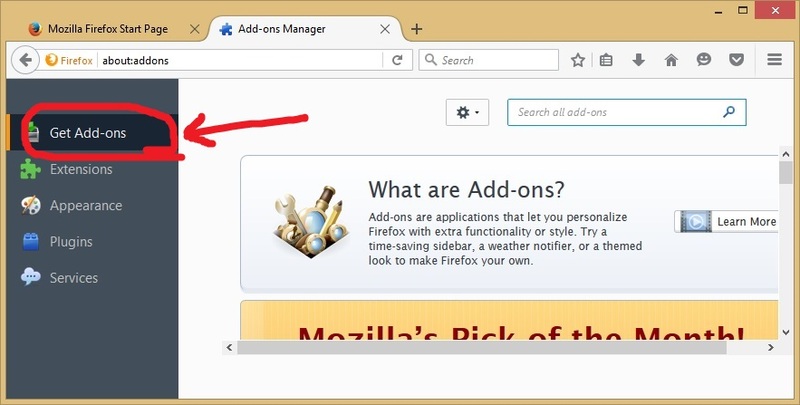 Be sure to ignore any adds that look like the button you should click, and click on "Install this script". Click "Install". 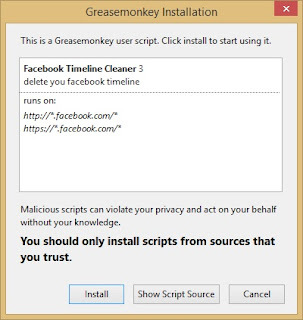 Now we have a browser that is capable of running a script to remove our Facebook posts. The number here determines what you want to keep. 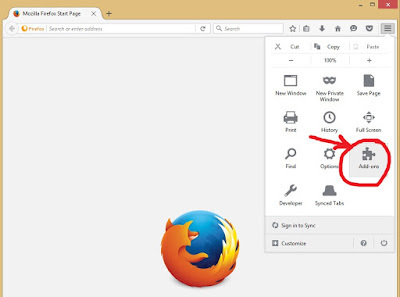 If you go with the default of "90", then all posts in the last 90 days will not be affected by the script. WARNING: Making this selection executes the script. Note: The "X" is the number you selected in "Entrys older than" [sic] box. You can go do something else while it runs. The year bar on the right is basically your progress bar. As it moves backwards through the years, it is moving through your posts. Let it finish. What does finished look like? As for the things Facebook will not let you delete, those things can only be hidden from your timeline. This is important. Because of the way Facebook likes to feed up whatever the hell it wants to you, you will not be able to do this in one run. After the first pass, you will see a timeline with only things that cannot be deleted. When you reload, you will likely see more posts appear. This is not a problem with the script, it is a consequence of the irregular way in which Facebook feeds your activity to you. It took me a few passes. These things can be "hidden", though, and if the script cannot delete an item, it will hide it. Take note, hidden stuff will not be deleted: This is important; if you hid a post, share, etc. that could normally be deleted, the script will skip it. Well, at least as much as you can be. I hope this helped you. P.S. Are You Worried About This Script? It's up to you. Scripts can do things you do not want them to do. I leave it to you to choose. If you run into problems with my instructions, please comment on this post in case others have the same question. I'm unable to click any of the options ("delete everything," "older than X days," etc). Roisin, sorry to hear that. A host of things could be causing such a broad issue and I am not in a position to effectively provide support on the script. I would recommend posting feedback on the script page (https://greasyfork.org/en/scripts/9106-facebook-timeline-cleaner) or the forum on that site. Someone there may have already had your issue and resolved it. Best of luck on a speedy resolution.